Rehearsals for 2015-2016 begin on August 31! Our rehearsals begin on August 31, 2016 at 7:30 p.m. While we normally rehearse in the band room at Canyon Middle School in Castro Valley, our first two rehearsals on August 31 and September 7 will be held elsewhere, at a place to be determined. Check this space (or our Facebook page—see below) and we'll let you know where we'll be. 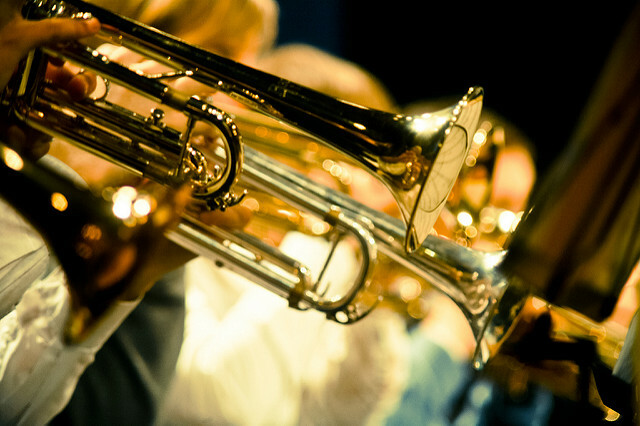 Get our horn warmed up, and sign up today at the Castro Valley Adult and Career Education website. The band's Facebook page is the best place to keep up with news about the band. Be sure to follow us there! Trumpet image by Dukas Ju, courtesy of Flickr.